On my first trip to a city I always try to experience the things that the place is famous for, especially the food. Recently I was in Toronto which is a very diverse city with all kinds of food, but the peameal bacon sandwich is one of its most iconic specialties. Toronto was once known as Hogtown, thanks in part to the vast stockyards where in the mid to late 1800’s cured pork products like bacon were sent to the United Kingdom, where there was a shortage at the time. In 1900 over half a million pigs were processed for export in Toronto. So what is peameal bacon exactly? It’s what we call “Canadian bacon” in the US. It’s made from pork loin, rather than belly, so it’s much leaner than typical bacon. It’s brined and cured, not smoked. It was originally rolled in ground dried yellow peas to help preserve it, but cornmeal became much more widely available in the 1900’s and also preserved the meat better. Peameal bacon, also sometimes called back bacon, is juicy and salty but not nearly as salty as streaky bacon. It’s served sliced and makes a very fine sandwich. One place to try the famous peameal bacon sandwich is at the St. Lawrence Market. 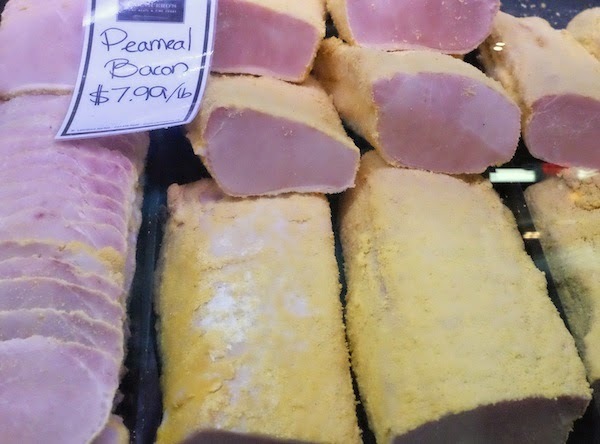 You can see peameal bacon in the cases of butcher shops and there are at least two places that serve the sandwich, Paddington’s Pump, a full service sit down restaurant and Carousel Bakery, a market stall. 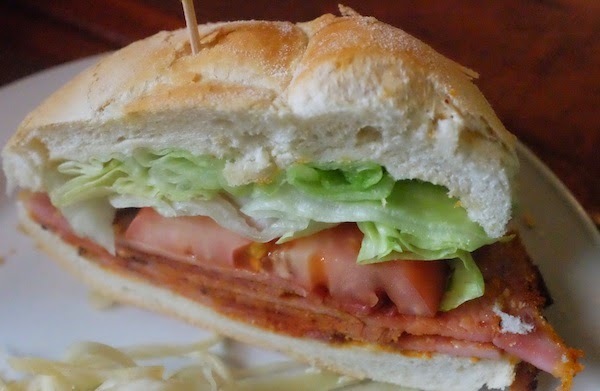 The Paddington’s Pump sandwich features thinly sliced peameal bacon and comes on a crusty roll with tomato and lettuce and some slaw and pickle on the side. At Carousel Bakery the sandwich is served on a hamburger bun with thick cut peameal bacon. You can also get the “breakfast on a bun” with peameal bacon, a fried egg and cheese. 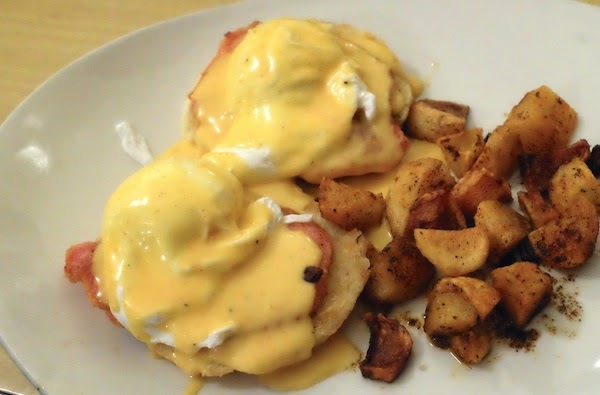 After you try the peameal bacon sandwich, I recommend trying the eggs benedict at the classic diner, The Senator which is Toronto’s oldest restaurant. It’s two poached eggs on peameal bacon with hollandaise sauce on a homemade biscuit. Both are so good that I'm not sure which I prefer!